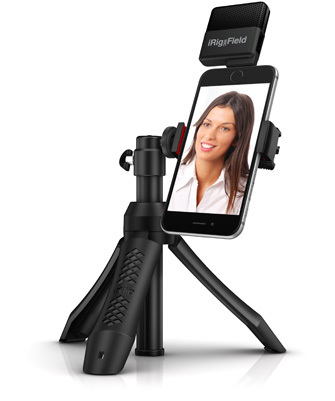 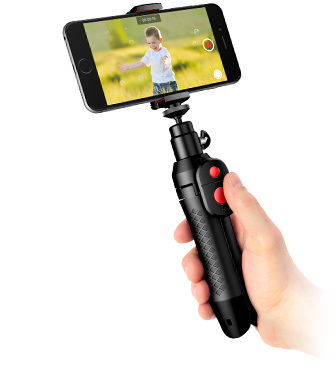 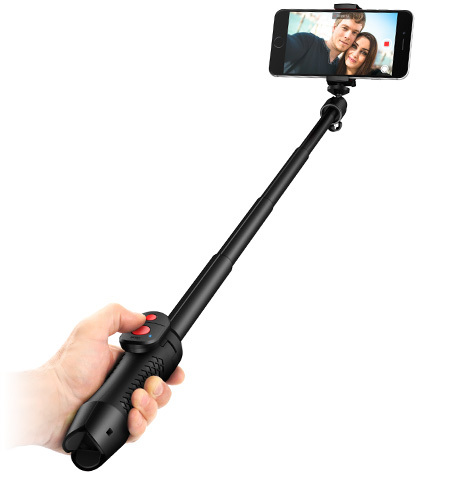 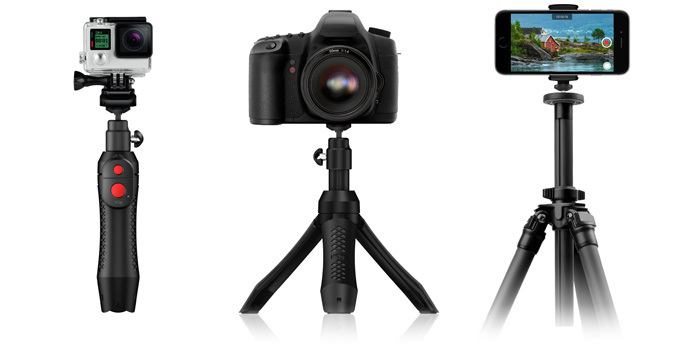 IK Multimedia announced the new iKlip Grip Pro - the professional quality 4-in-1 tripod and handle for capturing professional photos and video on the go with any iPhone or compact action video camera. 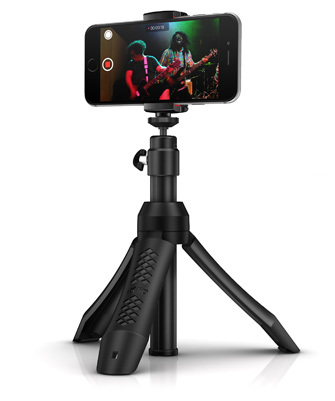 iKlip Grip Pro lets users securely hold their iPhones while using the stand as a compact tabletop tripod, a video handle, a monopod or as a standard tripod adapter. 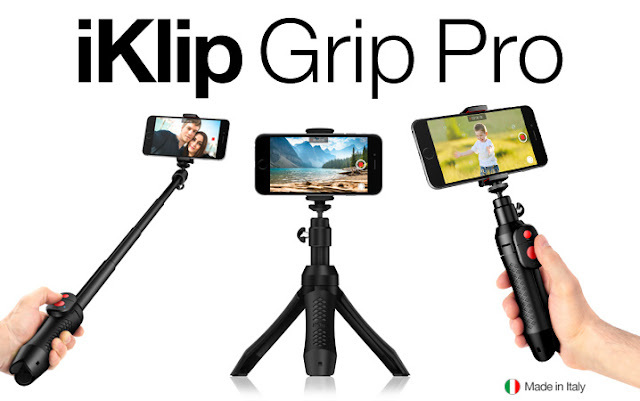 iKlip Grip Pro features an integrated, all-in-one compact design that provides the highest level of convenience for capturing media on the go.